Looking To Build Your Credit? We specialize in auto loans for vehicle shoppers who have had challenges in the past. No matter what your credit history, we want to help. See how far your money goes on a new or used car, truck or SUV. Are you experiencing a bad time with your credit? The finance team at Ray Brandt Nissan understands difficult credit situations, and we’re here to help drivers around New Orleans and Harvey, LA, get into a new vehicle, no matter their current credit score. If you have bad credit, low credit or no credit, our finance team wants to help get you a car loan with our special financing options. We’re here to work with you and get you into the Nissan you’ve been wanting. We strive to provide special financing options for all drivers in and around New Orleans. Whether you’ve suffered from bankruptcy, repossession or any other event that resulted in poor credit, our team wants to help you get in the new Nissan or used car, truck or SUV you need. Our goal is to create a fully customized payment plan to meet your needs and budget. We will also strive to get Metairie, Marrero, and Harvey, LA, drivers in the vehicle they want, without having to settle. Get Nissan Special Financing Today! Go ahead and start the special financing process from home by filling out our online finance application. 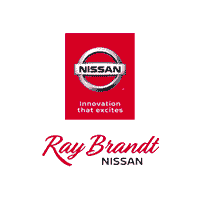 Ray Brandt Nissan is conveniently located in Harvey, Louisiana, and also proudly serves drivers in the greater Metairie, New Orleans, Mandeville and Gretna areas.